Just a day after announcing a deal that would bring a dedicated YouTube app to Comcast’s X1 cable boxes and put YouTube content right alongside normal TV stuff, Google has revealed a new service called YouTube TV that will directly compete with cable companies like Comcast. Basically, if Google and Comcast were on one of those Real Housewives shows, the next episode would probably be incredible. This news comes from Variety, which says the YouTube TV bundle will cost $35 and that it will feature “about 40 TV channels” including ABC, CBS, Fox, NBC, and ESPN. 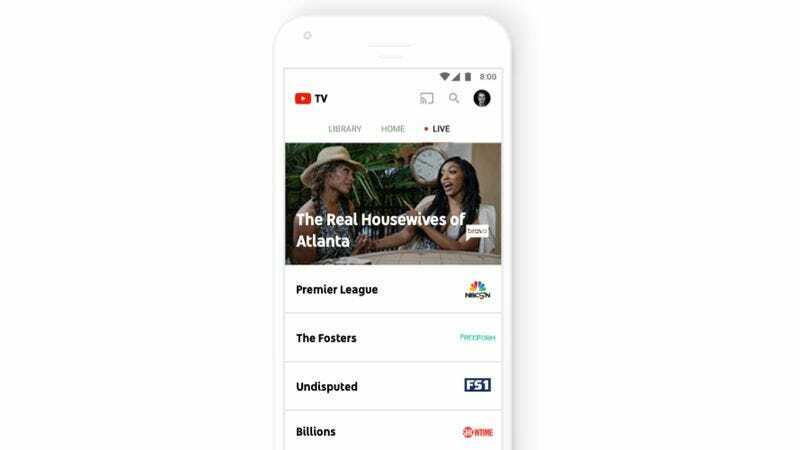 It will also let users access live TV and on-demand content, there will be “no DVR recording restrictions,” you’ll get free access to YouTube Red’s premium content, and you’ll get six different profiles that each have their own personalized recommendations and settings. Naturally, this service will also play nice with Goggle’s Chromecast and Google Home devices, so you’ll be able to stream YouTube TV stuff to your actual TV and control it with your voice. As for how this and the Comcast deal can coexist, the Variety story makes it sound like this is specifically being targeted at young people. In a statement, YouTube CEO Susan Wojcicki says that “millennials love great TV content,” but they “don’t want to watch it in a traditional setting.” In other words, cool millennials will be able to watch Fox online with YouTube TV, and stuffy gen-Xers will be able to watch YouTube videos with their cable box. Also, Comcast has noted that it won’t be offering YouTube TV on its X1 boxes, so it does seem like the cable company recognizes that it’s kind of getting screwed here. YouTube TV is set to launch within the next few months, and you can find more information at this link.